Having difficulties looking for JIS flanges? We can help you because we have all sizes. 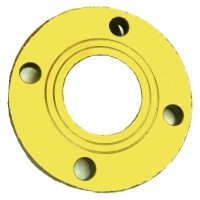 JIS Flanges are made to KS B1503 / JIS B2220 standard and the material include steel and stainless steel SS316. Size Range: 3/8" to 8"